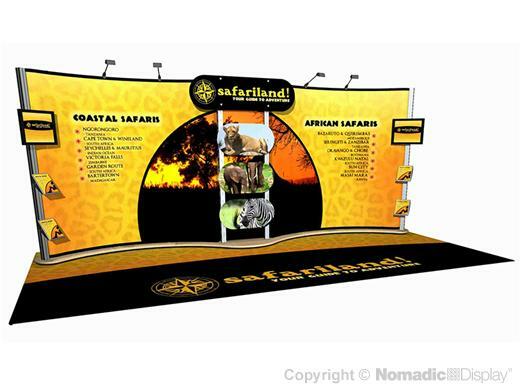 If you want a custom-tailored 20' trade show booth in a cost-effective presentation, we have your solution. This hybrid solution blends Instand® with a Foundation riser. Place your accessories anywhere along its built-in front rail. This distinctive and memorable selling environment has LCD monitors, brochure holders and stand off graphic signage.